THIS EVENT IS POSTPONED UNTIL MARCH 27, DUE TO WEATHER! Come join your GetHiking friends for an amazing program by Kristie Kendall author of “These Hills Were Home” and Historic Preservation Manager for Piedmont Environmental Council. 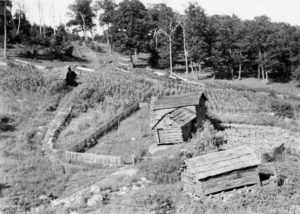 Kristie will share historic photos and talk about the history of the communities, settlements and life in the mountains up to the time the land was obtained for the creation of Shenandoah National Park. As she does in her book, Kristie provides this history of mountain life in a context that relates to a historic walking trail guide. Assuming there’s interest, we will plan several hikes after Kristie’s presentation tying in this interesting history to trails & hikes that many of you may have hiked. Don’t miss this fun filled evening – we’ll learn about the history of the families and communities , have a great question and answer session, tell a few stories of our own and share food and drink with our hiking friends…!